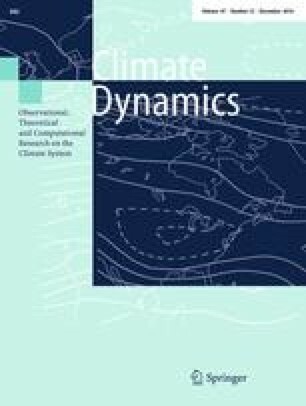 This study investigates the role of different areas of the ocean in driving the climate variability. The impact of both global and regional ocean nudging on the climate reconstruction obtained with the climate model EC-Earth v2.3 is studied over the period 1960–2012. Ocean temperature and salinity below the mixed layer are relaxed toward the monthly averages from the ORAS4 ocean reanalysis. Three coupled ocean–atmosphere simulations are considered: (1) global ocean nudging, (2) nudging in the global upper ocean (above 2000 m) and (3) nudging in the mid-latitude ocean and at full ocean depth. The experimental setup allows for identifying local and remote effects of nudging on different geographical areas. The validation is based on the correlation coefficients and the root mean square error skill score and concerns the following variables: ocean heat content, ocean barotropic streamfunction, intensity of the ocean gyres and indexes of convection, sea ice extension, near-surface air and sea surface temperature, and El Niño–Southern Oscillation 3.4 index. The results can be summarized as follows: (1) the positive impact on the reconstruction of the ocean state is found almost everywhere and for most of the analyzed variables, including unconstrained variables and/or regions, (2) deep-ocean nudging shows low impact on sea-surface temperature but a significant impact on the ocean circulation, (3) mid-latitude ocean nudging shows systematically the worst performance pointing at the importance of the poles and tropics in reconstructing the global ocean. A. Carrassi was financed through the IEF Marie Curie Project INCLIDA of the FP7. This work was supported by the EU-funded SPECS (FP7-ENV-2012- 308378), the MINECO-funded PICA-ICE (CGL2012-31987) Projects, and EU-FP7 Project SANGOMA under Grant Agreement No. 283580.